Blair Family Blog: Our nephews eye is swollen! 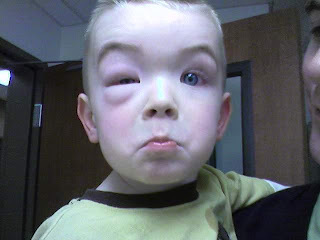 Our nephews eye is swollen! Trunk or Treat was a success.